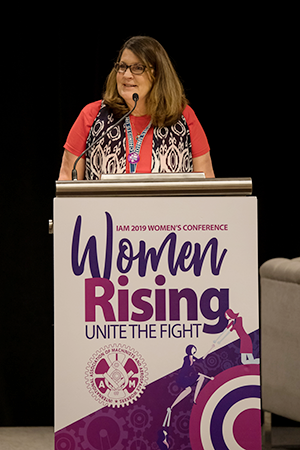 Hundreds of IAM activist women from across North America are gathered in Las Vegas this week for the 2019 IAM Women’s Conference. 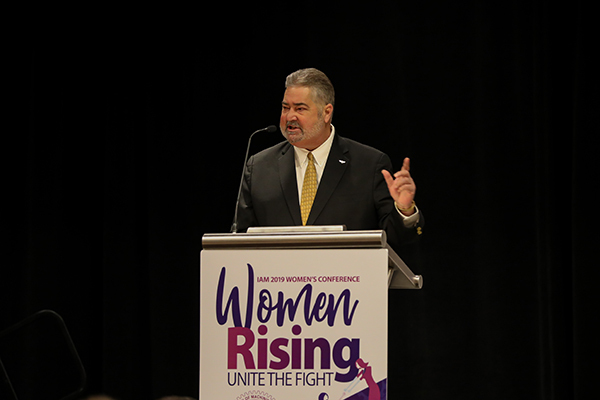 The theme of the conference is “Women Rising: Unite the Fight.” The agenda includes an array of guests and panel discussions, to support the ever-increasing role women play in the labor movement. Among the opening day speakers was IAM International President Bob Martinez. A remote edition of the IAM’s webcast “Activate L!VE” included IAM Women’s Department Director Rhonda Rogers and several conference attendees. Watch the show’s re-stream on Facebook, Twitter or YouTube. The 2019 IAM Women’s Conference runs today through Saturday, April 6.